Are you one of the many who experiences this uncomfortable sensation and wonders how to get rid of nausea using a natural remedy? Often we have no idea why we are nauseous even though there are reasons why we are. Nauseousness is very commonly associated with many health issues. Nausea is not an illness. What happens is the digestive system stops doing its job due to many reasons. Sometimes simply noting the cause will help you to get rid of nausea. We will discuss natural remedies for nausea but first, why does it occur? Other causes of nausea include appendicitis, bulimia nervosa, Crohn’s disease, hepatitis, thyroid problem, irritable bowel syndrome, milk allergy. Note: Do not ignore severe or intermittent nausea. Be sure to consult a physician. I have much experience with nausea. Much of my life I had it in one way or another. As I child, motion sickness from going on a drive with my family, having indigestion regularly, and many medications would make me vomit. Now that last thing was a good thing because I could not take all those drugs! Also, I had severe IBS (Irritable Bowel Syndrome), Chronic Fatigue Syndrome, and Fibromyalgia which helped me to become highly interested in food and nutrition (what I call a health nut). I am grateful to have healed and nausea is not part of my daily life anymore. Before we discuss how to make nausea go away, your first approach should be to prevent nauseousness in the first place. When eating solid food do not drink liquids; it’s best to drink 30 minutes before or after eating. Make sure your stomach is not totally empty; eat something small every 1 to 2 hours. When you are eating, eat foods that digest well together; use food combining principles. Eat simple foods including bland, low-fat foods, high-fiber foods such as cooked grains (for example try rice, millet, oatmeal), plain baked or steamed potato, or a banana. If your nausea comes as a result of motion sickness, it is helped by lying down and breathing fresh air and it is best to avoid reading. Sip clear fluids between eating. Try not to lie down right after eating. An easy nauseousness remedy is to eat something small before bedtime and have something to eat by your bed to have in the middle of the night or when rising in the morning. Be sure to avoid fatty, greasy foods, dairy, candy, cake or cookies, spicy foods, alcohol, cigarettes and caffeine. Avoid aspirin, Tylenol and other medications that could cause stomach upset. If you feel you need to vomit, let it happen; there is no point fighting it. You will probably feel better afterward because you may have something in your body that needs to come out. If you have also been vomiting, it’s best to consume as many gentle liquids as possible without irritating your stomach. Sip clear fluids slowly, such as water, mineral water or fresh vegetable and fruit juices to restore fluids lost through vomiting. When your nausea begins to subside it’s best not to eat a big meal. Return slowly to full meals; eat small amounts of high fiber foods. Continue with all the eating tips above until you feel totally recovered. I experimented with many natural anti-nausea remedies over the years when I used to have nausea regularly. Here I have listed things I have found to be the best methods for how to make nausea go away. According to a study at the University of Rochester Medical Center ginger reduces chemotherapy nausea by 40 percent. Studies have shown ginger reduces nausea in morning sickness and chemotherapy nausea. Also, studies at the University of Maryland show that ginger reduces motion sickness, but others have shown mixed results. 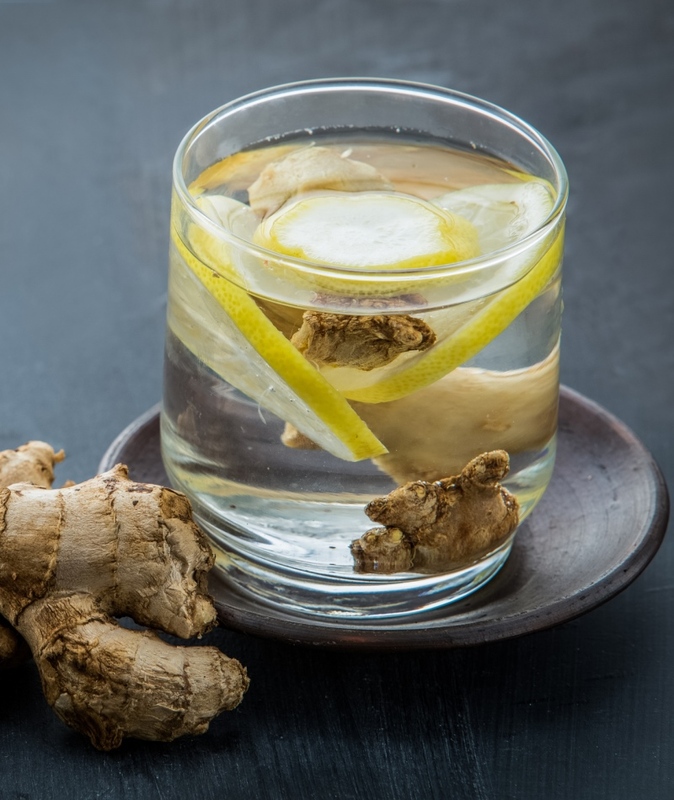 In my personal experience, ginger and ginger tea has worked very well. One great natural remedy for nausea is to drink ginger tea. For the most effective help for nausea, take capsules of powdered ginger root. For travel sickness take some capsules an hour before you leave and as needed (do not exceed 10 grams a day). Ginger can have a side effect of minor heartburn which can be alleviated with powdered fennel seed capsules. Its primary use is for soothing the digestive system and for digestive problems, thus being very helpful for preventing nausea or at least keeping it at bay. In one study they found fennel seed oil decreased the intensity of colic in babies. You can make fennel tea or eat the seeds as you might find in Indian restaurants. For more extreme nausea it’s best used ground up in capsules and with ginger capsules, as they work together well. Deep breathing has been shown to stop nausea in patients recovering from surgery in a study at the Post Anesthetic Care Unit. They were instructed to inhale slowly through their nose and then exhale slowly through their mouth three times. Within five minutes there was an average of at least 50 percent improvement. Deep breathing has been found to decrease symptoms of motion sickness as well as an effective natural remedy for nausea. The acupressure point known as Nei Kuan is very powerful at helping to keep nausea at bay. Studies have found this pressure point to be helpful with morning sickness, motion sickness, Chemotherapy-Induced Nausea, and post-operative nausea. The point is located on the inside of your wrist. To find it, place your middle three fingers with the edge of the third finger on the wrist crease; this acupressure point is just under the edge of your index finger in the middle of your wrist. To get rid of nausea, massage the point with constant pressure in intervals of three to five minutes or as often as needed. There are even sea bands you can wear on your arm that puts pressure on the point for motion sickness. Note: When consuming fennel and ginger, do not exceed dosage recommendations; be sure to consult with your doctor if you are pregnant, nursing, or taking any medication. As I said above I am so grateful to be living a nausea-free life daily. It’s my hope that in an effort to learn how to make get rid of nausea, my experience combined with the natural remedies listed above will help you with your condition. 13 Health Benefits of Breathing Well – Are you breathing well? You know you are breathing now since that is necessary to be alive and reading this article, but do you know how to do it well? 5 Tips to Improve Your Digestion and Health – Do you regularly have gas, bloating, bad breath, heartburn or indigestion? If any of those symptoms are regular for you, then you are not digesting your food well. 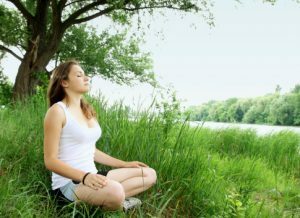 Meditation and Yoga Result In Less Doctor Visits – Be still or be ill. Meditation and yoga can help you experience a deep state of relaxation and better health.